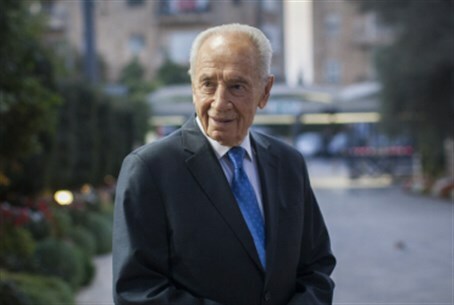 President Peres: France’s strong stance earns worldwide respect. France’s insistence on verifiable guarantees that Iran will not continue enriching uranium reportedly played a key role in stopping a proposed agreement with Iran from going through – an agreement that Prime Minister Binyamin Netanyahu had warned was dangerous. France has taken a “strong stance” on the issue of weapons of mass destruction in Syria as well, Peres said. This stance “earns worldwide respect,” he added. Peres also praised France for its assistance to the fledgling state of Israel after the Holocaust. France broke the embargo on Israel at a time when much of the world refused to allow Israel any weapons, he noted. “The citizens of Israel owe an historic debt to France on its help building Israel’s defense forces after the state was formed,” he said. During the year after the state was established, Israel faced a war for survival as it was attacked by several Arab armies. Prime Minister Binyamin Netanyahu praised France as well. “Israel sees France as a true friend,” he said. France “understands well the dangers of extremists,” he added. France and Israel are expected to sign bilateral cooperation agreements on Sunday to further cooperation in areas of strategic importance, as well as to boost economic, scientific and cultural ties between the countries. On Monday, Hollande is expected to address the Knesset.